Interaction between biblical study and the practical work of the church receives attention in this book. 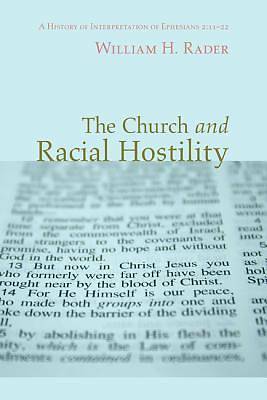 The author seeks biblical perspective on the problem of racial conflict. In New Testament times, the deepest conflict between groups was that between Jews and Gentiles. Ephesians 2:11-12 summarizes this conflict and its reconciliation in Jesus Christ. The book traces the history of the passage's interpretation from the early church to the present in order to clarify the current situation. It illustrates the significance of biblical scholarship for the practice of ministry. William H. Rader of Dauphin, PA, is a retired United Church of Christ pastor.